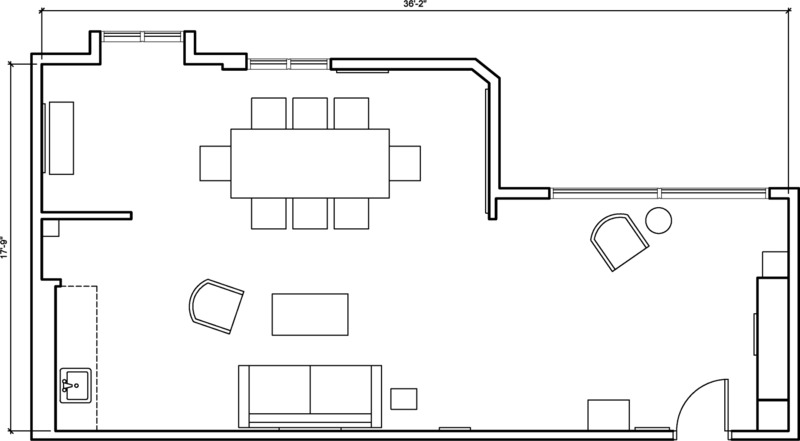 Let your team get creative in the open space of this FiDi location. Natural light, high ceilings, a small nook and an on-site kitchenette gives your team all the inspiration they need for productive day-long meetings. There is a sink in this location but it is not functional.